Indian boxer and mother of three, MC Mary Kom, inducted herself on the world of boxing’s wall of fame. The boxer from Manipur has grabbed her 6th World Boxing championship medal, a feat achieved by none. 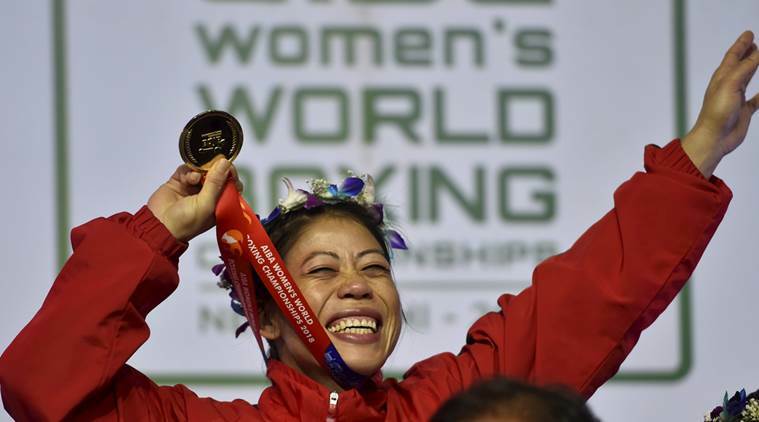 Mary Kom beat Ukraine’s Anna Okhota in a unanimous 5-0 decision in the 48kg category. She eased past Ireland’s Katie Taylor with whom she had shared the tally of 5 gold medals for a brief time. The AIBA panel also chose the Indian as the best boxer of the Championship. After the recent success, it is evident that the champ is now eyeing Tokyo Olympics. However, Mary Kom must have to train harder and gain some kgs in order to participate in the 51-kg category. The Olympics don’t feature the 48-kg weight category. MC Mary Kom, during her press conference, expressed her views about the same. 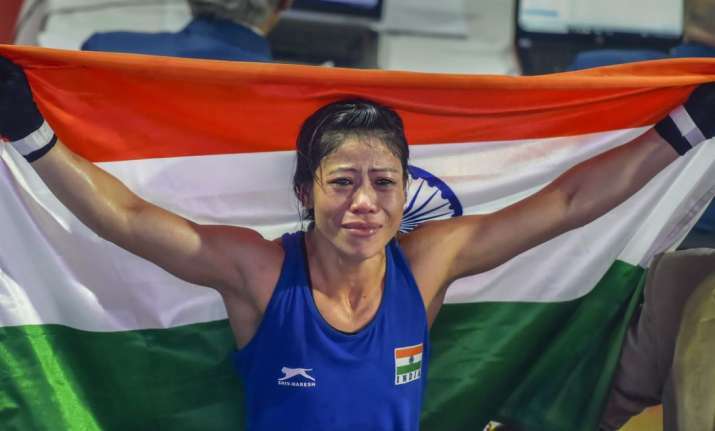 She said, the reach of the boxers in the 51-kg category must be hard to deal with but she also believes that with constant training and support, she can do well. 23 Yr Old Ticket Checker – Chanu, Sets Golden Record in Women’s Weightlifting, at Commonwealth Games 2018!